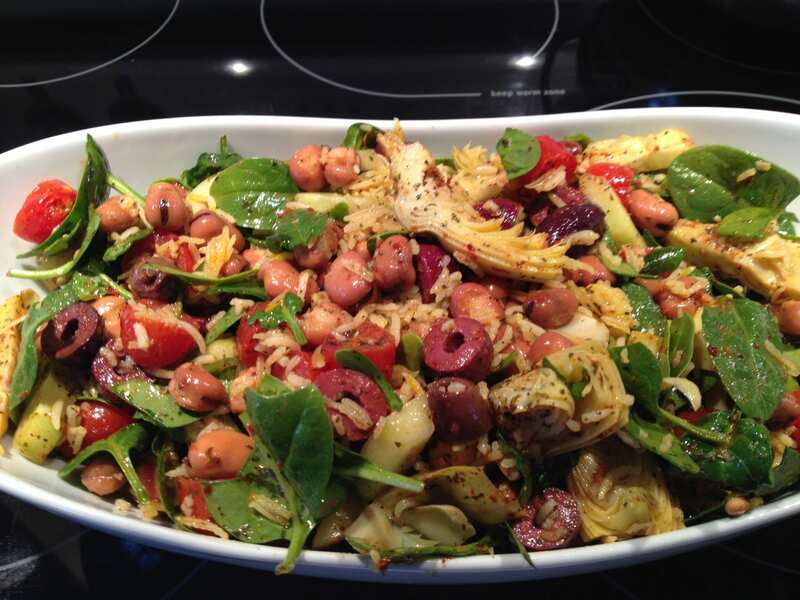 A super simple healthy rice and bean salad makes a perfect vegan protein! 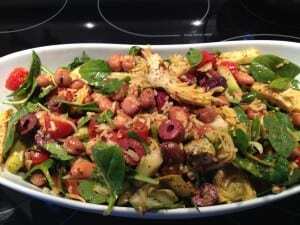 My Harissa Rice and Fava Salad with Artichokes and Olives is not only delicious but packed with protein rich fava beans, cleansing artichokes, mineral rich spinach and heart healthy olives! These nutritious superfoods are combined authentic saffron scented basmati rice, sweet grape tomatoes and a warming Harissa, lemon dressing! 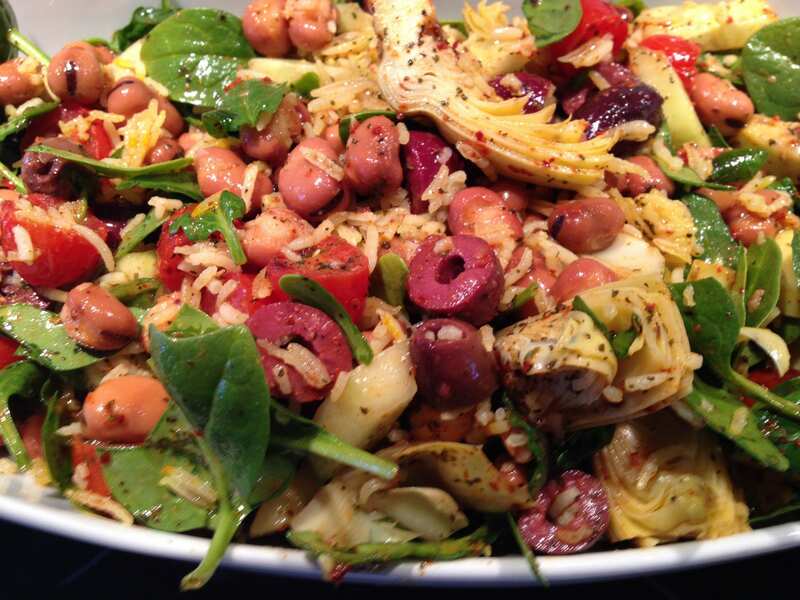 Serve my Harissa Rice and Fava Salad with Artichokes and Olives on its own or as a side to lamb or chicken; just delicious! Perfect with a Pinot noir or Chardonnay! Enjoy! !